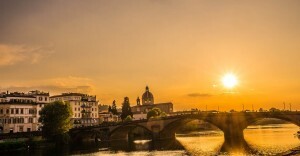 Crazy for Pazzi is a crowdfunding initiative by the Opera di Santa Croce, the institution responsible for maintaining the 720 years old Basilica of Santa Croce, in Florence Italy, that allows you to officially become a patron of Florence Italy Renaissance. 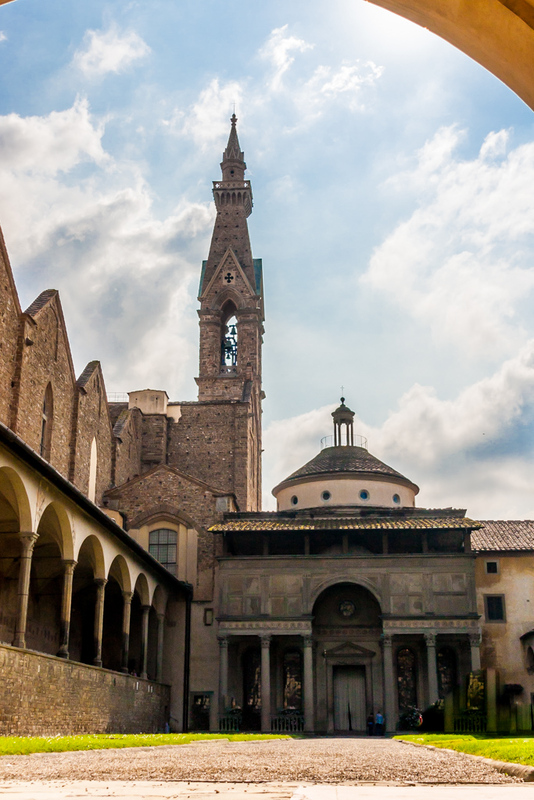 The Pazzi Chapel, masterpiece of Renaissance architecture designed by Filippo Brunelleschi and erected in the cloister of Santa Croce, is deteriorating and needs urgent works of restoration. 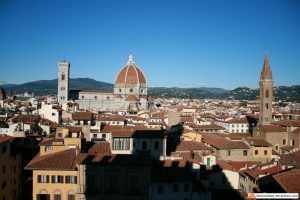 The Opera di Santa Croce provided half the necessary amount, but needs another $ 95,000 to complete the work, which will start in early 2015 and is scheduled to finish in about six months. The loggia at the Chapel entrance is the part of this monument which is deteriorating. The loggia is built in pietra serena, a sandstone largely used by Brunelleschi in his works, which by its own nature tends to deteriorate. The Opera di Santa Croce was forced to remove part of the decorations to guarantee safety, they will be repositioned in the correct spot as soon as the loggia is restored. 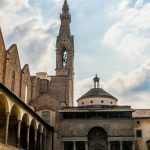 You can back this project donating as low as $ 1, but if you donate at least $ 10 you will be thanked in the official archive of Santa Croce and your name will be part of the history of this beautiful church. You can also decide to donate more, your reward will be even bigger, up to receiving a VIP invitation to the opening ceremony of the restored Chapel. You can donate now and if the amount of 95,000 is not reached within December 20th, 2014, you won’t pay a cent. To contribute, visit Kickstarter page dedicated to the project. I just contributed; will you? Use the hashtag #crazyforpazzi on your social networks to let people know about this project. Santa Croce was one of the most damaged monuments in 1966 by the Arno river flood. Let’s recreate what happened back then when people from all around the World, later called the “Mud Angels“, came to Florence to help preserve a cultural heritage which is property of all the Mankind.